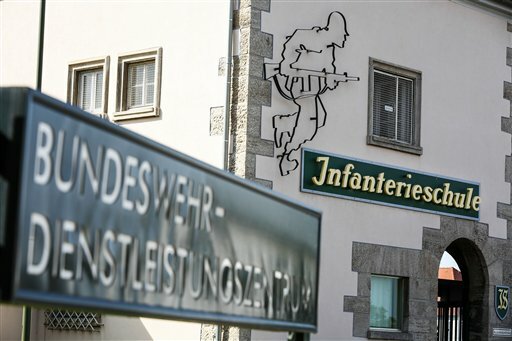 BERLIN (AP) — Germany’s army has started training 32 Kurdish peshmerga fighters at an army school in Bavaria to support them in their fight against Islamic State extremists. A spokesman for the German defense ministry said Sunday that the 32 Kurdish fighters would stay in Germany until October 3 to receive weapons’ training. Germany also began delivering arms to the Kurds in northern Iraq on Thursday, dispatching a shipment of 50 hand-held anti-tank weapons, 520 G3 rifles and 20 machine guns. In total, the German plan calls for arming 10,000 Kurdish fighters with some 70 million euros ($90 million) worth of equipment. Germany is also sending some 40 paratroopers to help train the fighters on the weapons.